3D printing is having an effect on the way things are made. This episode talks about what those things are, how it benefits us all and how you can get involved. 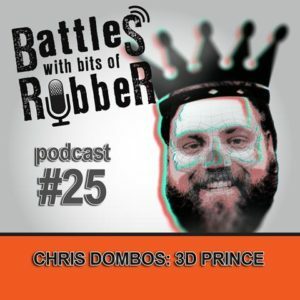 Chris Dombos knows a thing or two about 3D printing, and he is also a massive FX nerd so we got on rather well. 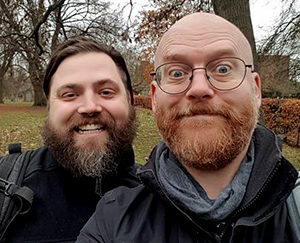 Having met him first at LA IMATS in Jan 2017 (I discovered he had some of the original Lost Boys moulds), it made sense to catch up when he came over to London recently. Of course, I figured bring the mic and make a podcast out of it. There have been a number of auctions as big FX shops started scaling down! This means that the larger shops have all but disappeared but more smaller operations opening up. Importance of design and the danger of generic, the process informing the look. Cost of CAD programs - the free and the fortunes. Digital sculpting revealing an artists lack of anatomical understanding, and how an understanding of form is essential to good sculpture regardless of the medium – clay or pixels. Costs or materials v digital process. It exists as a process, will only get better. The increased incident of joined up thinking, and how digital FX uses a team to create what would have been the job of one person, teams fitting together. For practical FX this wider collaboration is a new thing. ZBrush Core https://store.pixologic.com/zbrushcore/ who listened to sculptors to make the software work for sculpture. Hope you enjoy this episode - It's exciting and scary at the same time for me. Check us out on Facebook, https://www.facebook.com/stuartandtodd/ or email us direct at stuartandtodd@gmail.com!